“Why? (The King Of Love Is Dead)” by Nina Simone: This song was written, recorded and performed within three days after his murder. 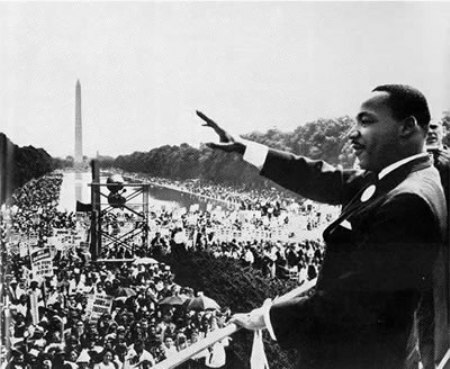 “MLK” by U2: A haunting lullaby. My college a cappella group did a cover of this song, and it gave me chills each time we sang it. “Up To The Mountain” by Solomon Burke. I love Patty Griffin’s original, but Solomon’s cover is more moving to me insofar as Solomon knew Dr. King. I’ve included Patty’s version too. “People Got To Be Free” by The Rascals: This song was written in reaction to the murder of Martin Luther King, Jr. In a sad twist of fate, right before the single was released, Robert F. Kennedy was assassinated. It was The Rascal’s last top ten single. “Shed A Little Light” by James Taylor: As James’ soft voice reminds us to “[l]et us turn our thoughts today to Martin Luther King”, the sound alone makes me feel the meaning of Mr. King’s nonviolent, civil disobedience. “Like A King” by Ben Harper: If you don’t know about the 1992 Los Angeles Riots, you should read up on it. Finally: “Black Bird” by the Beatles: Though this song isn’t about Dr. King, it was inspired by the civil rights struggle for blacks, written by Paul McCartney after reading about race riots in the US.